Retired, McKinsey & Company; senior advisor to Kohlberg Kravis Roberts & Co.
Mr. Bookout spent most of his 28-year career with McKinsey & Company working in petroleum refining, marketing, exploration and development, and the natural gas and electric utility industries. During his career, he held numerous leadership roles. Before relocating to Texas in 1995, he spent six years as Managing Partner of McKinsey's Los Angeles Office and four years in London where he led McKinsey's European Energy Practice. He also served as Managing Partner of the Texas Office, as co-leader of the Firm's North American Energy Practice, and as a member of McKinsey's Shareholders' Committee. 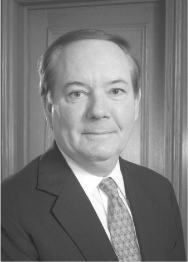 Mr. Bookout was a Director of McKinsey & Company in their Houston office until October 2006. Mr. Bookout is also a director of McDermott International, Inc., a publicly-held worldwide energy and services company, and is a senior advisor to Kohlberg Kravis Roberts & Co., an independently owned private equity firm. McDermott International Inc Engineering and construction company, with a focus on the energy and power industries.